Grout is so difficult to deal with, because it is in fact, quite a porous substance. Dirt, grimy crud, and water seeps in to this material easily. Take a close look, maybe with a magnifying glass even if you need proof on the porosity of grout. It is made up of many tiny holes that allow any fine substance to seep. When this happens, it becomes even more difficult to clean. 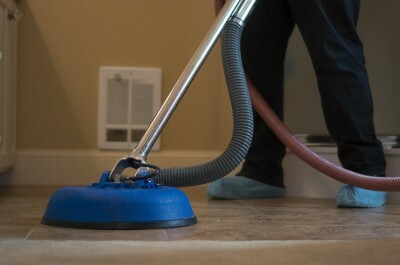 Carpet Cleaning Petaluma provide stupendous tile and grout cleaners. With our high powered vacuums, we are able to extract, and exterminate any and all dirt from within the pores of the grout. These tools that we bear are extremely effective in doing the dirty work to remove the grit from your home. Following the cleaning, we also provide a sealant solution to protect your grout. To protect the grout means there will be less future cleaning necessary. Our sealant prevents future particles, spills, and messes from infiltrating the inside of the grout. Always sweep and vacuum before you mop. When you mop, if there is a layer of dirt on top of your tiles, the moisture from the mop can push this dirt into the holes of the grout making it a much harder process to extract the filth. After the mopping, rinse the floor so there is no soapy or acidic substance sitting on the floor waiting for the grout to soak it in. Bleach and the harsh chemicals shouldn't be needed to clean grout and actually should be avoided. If your grout needs to be cleaned or restored, we have hands on deck ready to help. (707) 358-3050 is the number, ask for a quote or estimate to get your tile and grout cleaning service team to your residence.